In the culmination of 10 years of the MCU, Marvel Cinematic Universe, almost all of the characters that have been introduced end up in a war against the titan Thanos and his Infinity Gauntlet. The two sides of this conflict are the Avengers (and friends) that want to stop Thanos from eliminating half the population of the universe, and Thanos and his minions that wish to balance the universe that he sees to be overpopulated compared to the resources available. The Infinity Gauntlet, when completely assembled, has the power to do this, as it can control life, death, and reality itself, thanks to the powers of the Infinity Stones. But here come a problem that is lost in translation between the comics and the movies. 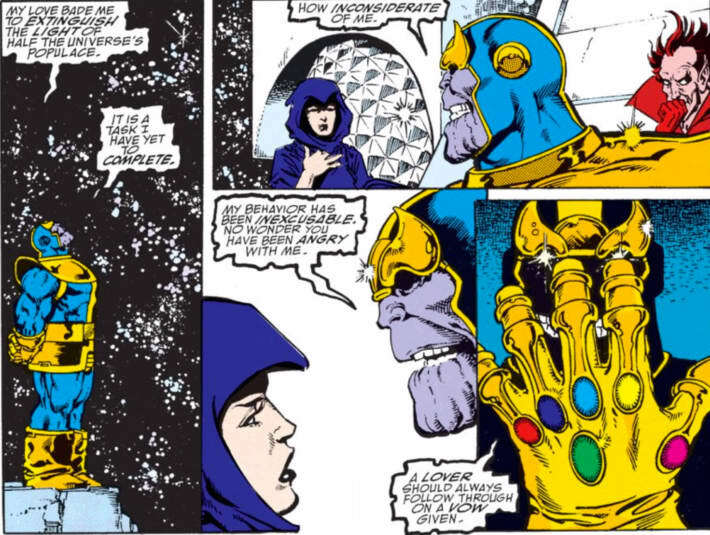 The premise for, what the comics call the ultimate nihilist, Thanos is that he wishes to save the universe by removing half the population so that there are enough resources to go around. This does not take into account the possibility for the universe to repopulate and face the same problem again, not does it address other solutions that could be implemented when controlling all of reality and the rules of physics and existence. One simple answer would be to just double the resources, or how about halving the needs? If one controls all, are needs even necessary, or could they be eliminated instead of the populace? All solutions that would satiate the requirement of saving the universe from over-consumption of its resources. But the motivation for Thanos in the comics is different. There, his goal is to pay tribute to the embodiment of Death, a being he is deeply in love with. He wishes for nothing more than for Death to adore him the same way and for them to become equal. He also states that her feelings can not be forced or manipulated through mind-control, as that would be disingenuous. 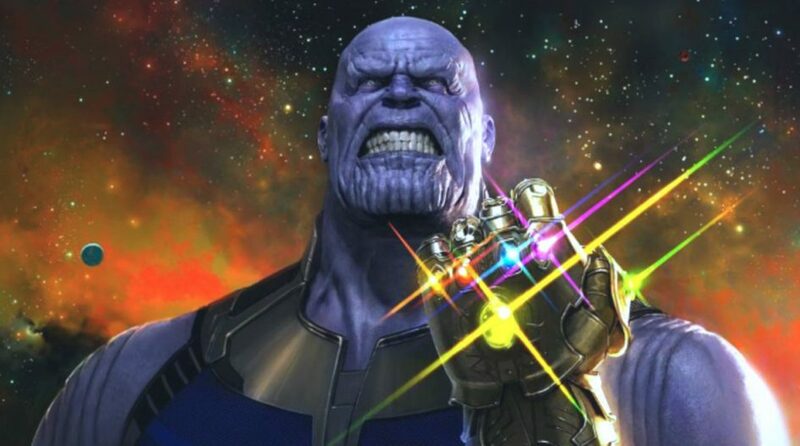 As a gift, a token of his affection, to win Death over he strives to kill half of the universe using the powers of the Infinity Gauntlet. There aren’t many other solutions to that equation. He can’t force Death to love him through the Mind Stone, nor circumvent the problem by doubling the resources or halving/removing needs. The goal is no longer to save the universe, and there may be multiple solutions to reach that goal. 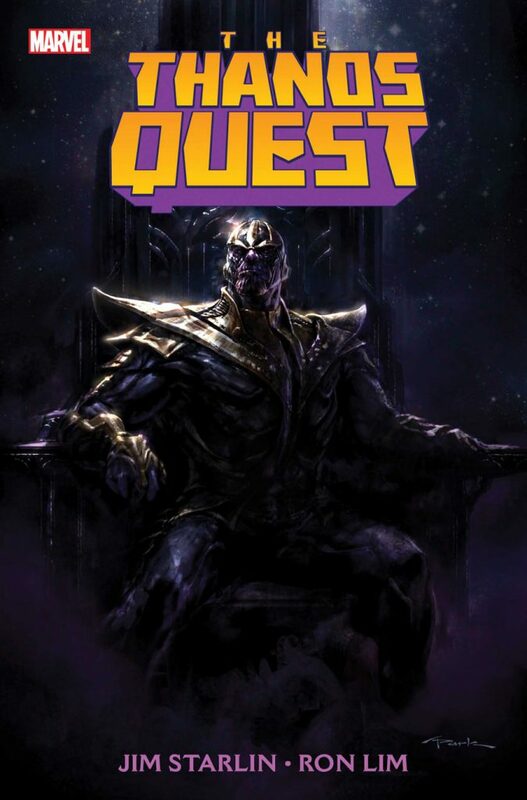 The quest is to eliminate half of the universe’s populace, and using the Infinity Gauntlet is one solutions to that task; most likely, the best one. Naturally, not everything can be translated to the silver screen, but this motivation and solution seems somewhat broken. 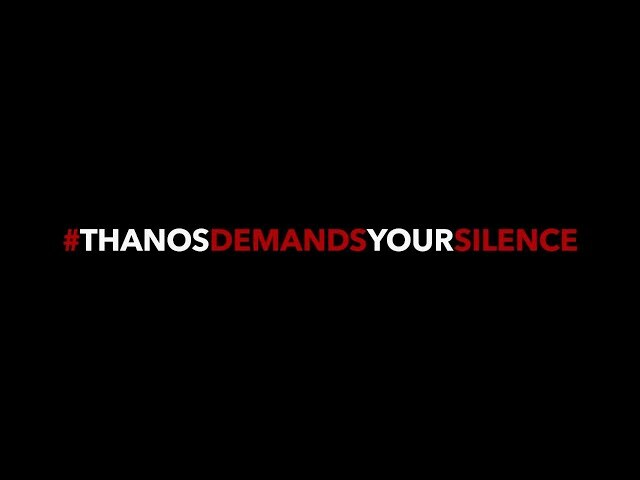 This did not remove any of my enjoyment of the movie, I found it fantastic and I’m yearning to see what the finale in Avengers 4 will bring us. Only about eleven-and-a-half months away.